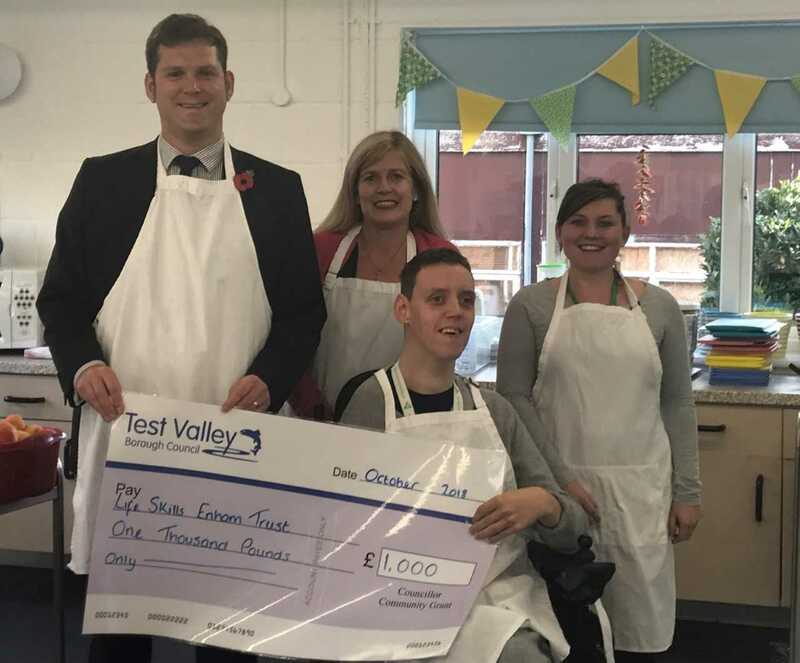 A project that helps provide independent living skills to disabled people has been given a £1,000 boost. Andover’s Enham Trust has been awarded the funds through a Test Valley Borough Council Councillor Community Grant. The money will enable the continuation of the Training Kitchen project, launched in August 2017. “The Training Kitchen provides a place where skills that are learnt are done so in a fun and practical way.